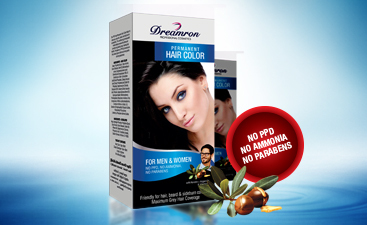 ‘p-Phenylenediamine (PPD)’is an organic compound used in preparation of hair dyes. However, after detecting harmful effects of this particular compound, beauty care industry attempted to come up with a solution that will produce similar results to that of PPD in an altered form. As a result ‘methyl -p- Phenylenediamine Sulfate’ was introduced to the industry recently. Dreamron succeeded in introducing this improved ingredient to hair dye products following experiments conducted in our laboratory in consultation with a team of US Chemists and subsequently introduced a black hair dye that is PPD Free. The new product is ammonia free and therefore does not cause discomfort during application. Keratin and Argan Oil are two wholesome ingredients added to the product which nourishes the hair and prevent dryness and split ends. We have introduced this assortment of hair dye products in line with our commitment to offering the best products to our consumers. As each person’s skin type is different, ideally you should do an allergy test before using any new product for the first time. of your blog a year ago, we might have been rescued from the needless measures we were implementing. you both mostly welcome and thank you very much for being with Dreamron. 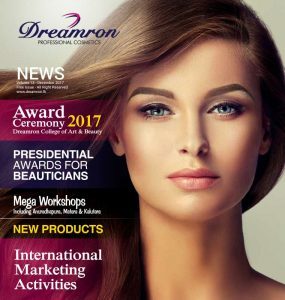 Thank you very much for your valuable comment, keep in touch with Dreamron, LIVE BEAUTY.